Remember those times when you were binge watching Gossip Girl and sat there in envy, wishing you could dress like Serena Van DerWoodsen or Blair Waldorf? Well brace yourselves (and your bank accounts) because it is now possible. Thanks to the free app, Ever, you can now discover and purchase what these characters as well as what many other fashionable characters are wearing. 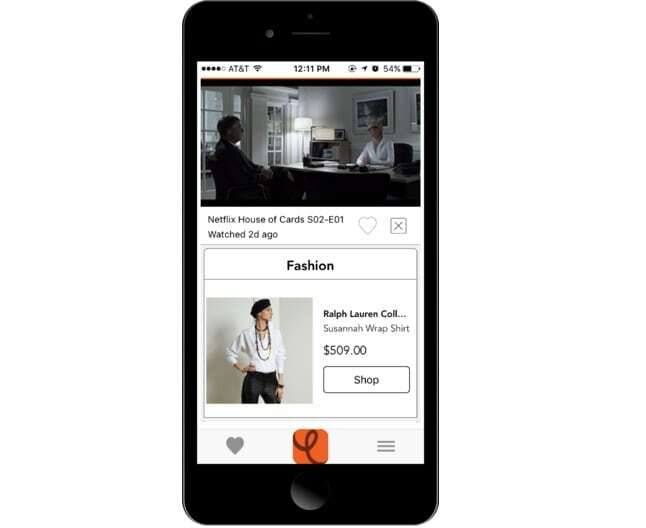 The app doesn’t just limit you to discovering clothes; you can also purchase any of the objects you see while watching TV, including any type of clothing, objects such as furniture, art, and beauty products. Now I’m sure you’re wondering how this works. While you’re watching TV, you can tap the “e” button in the Ever app, which will create a screenshot of what you’re currently watching, and show you all of the brands and prices of the items on the screen. There is a catch, though. Ever is only compatible with Apple TV, Roku TV, Android, Amazon Fire, and Samsung Smart TV, so you cannot use it while watching live TV. This all sounds like a great idea, but let’s be honest, we know we can’t afford the clothes that Serena and Blair slay. However, according to Cosmo, Ever will sometimes show you cheaper alternatives to those expensive clothes. Thank god. So next time you go on a Gossip Girl, Pretty Little Liars, or Scandal binge, don’t be afraid to use Ever and finally fulfill your dream of dressing like your favorite on screen character, or maybe even discover and purchase your own iconic Chuck Bass scarf he rocked during the beginning seasons.